Berlin is a popular European tourist destination, and rightly so. 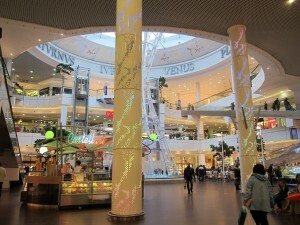 It’s funky, hip and unlike most places in western Europe, very gentle on the wallet. 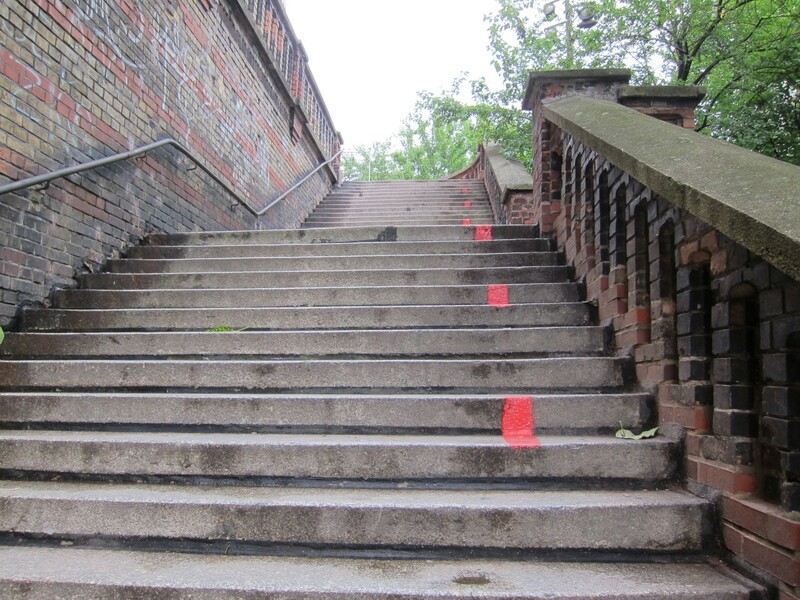 Berlin also happens to be only 40 miles away from the closest border with Poland, and that fact wasn’t lost on me. One of my goals in life is to visit as many countries as I can. Poland isn’t at the top of most people’s lists, a country often skipped by tourists in favor of sexier destinations in Europe. 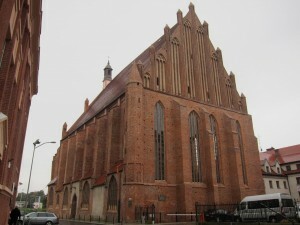 But if you’re already in Berlin, Poland is so close that it’s tempting to check it off your list with a day trip. 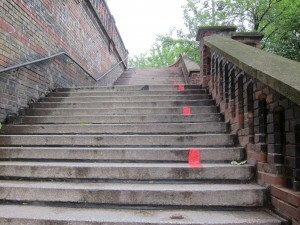 The question would then be – where in Poland should you go? 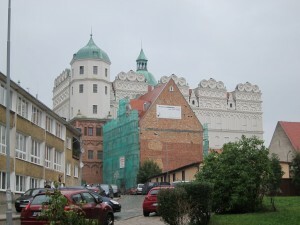 There are three main options for day trips to Poland from Berlin – Slubice, Poznan and Szczecin. Slubice is a small town on the German-Polish border. 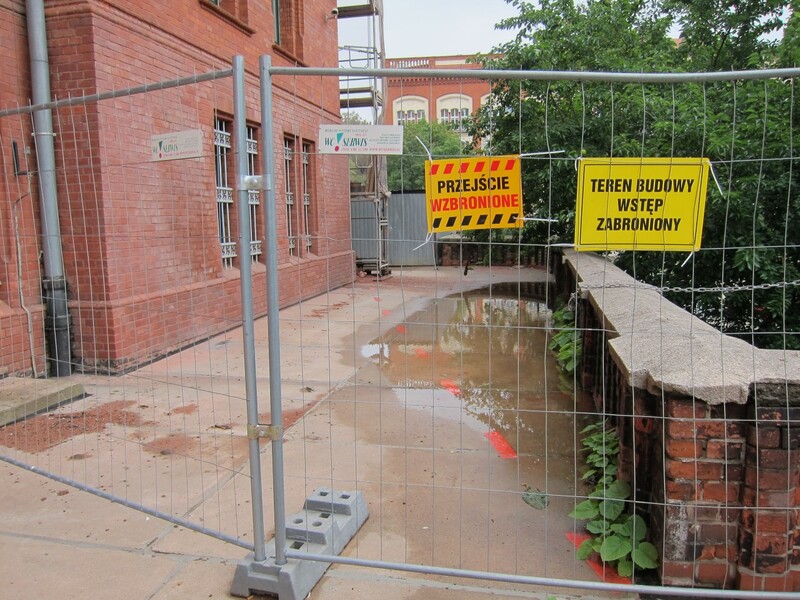 Besides being closest to Berlin, it’s a small city with little to see or do besides the novelty of being able to cross the border by walking over a bridge. Another option is Poznan. 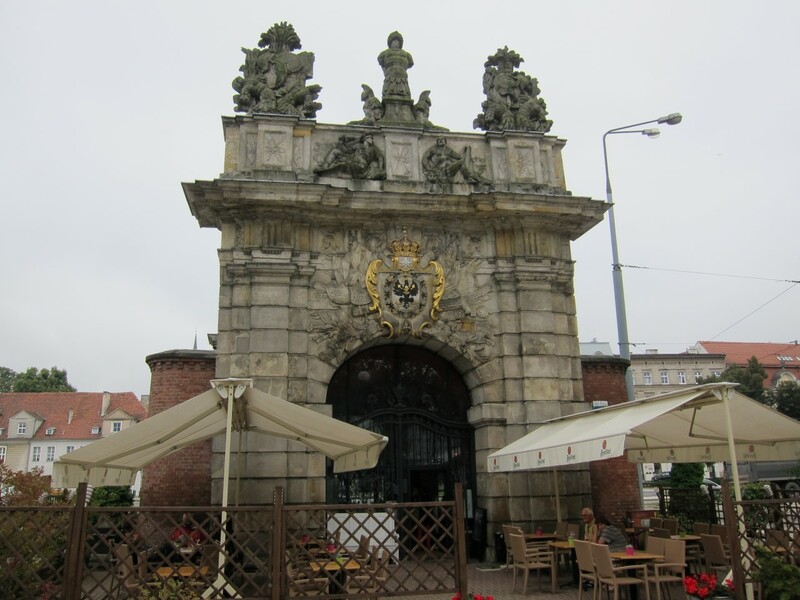 Known for its picturesque medieval square, Poznan is probably the nicest and largest Polish city one could visit in a day trip from Berlin. But it takes three hours to reach on a direct train from Berlin and is probably better as an overnight destination if you want to do it justice. 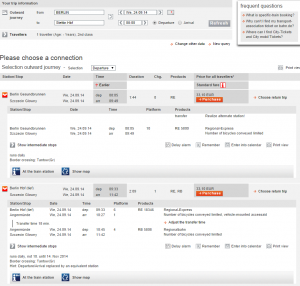 Tickets to Poznan are €29 each way if bought in advance and up to €43 last minute. With round-trip tickets adding up to over $100, Poznan was more of a commitment than my day-tripping self was looking for. 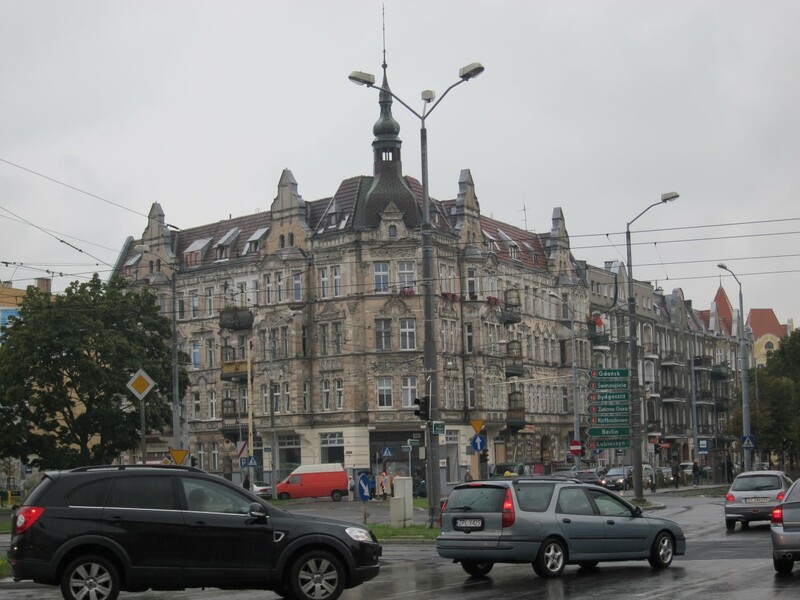 Then I stumbled upon a third option – Szczecin, a city of over 400,000 people, 90 miles northeast of Berlin. Formerly part of Germany before World War 2 (and still known in Germany by its German name Stettin), Szczecin can be reached cheaply and easily on regional trains from Berlin. 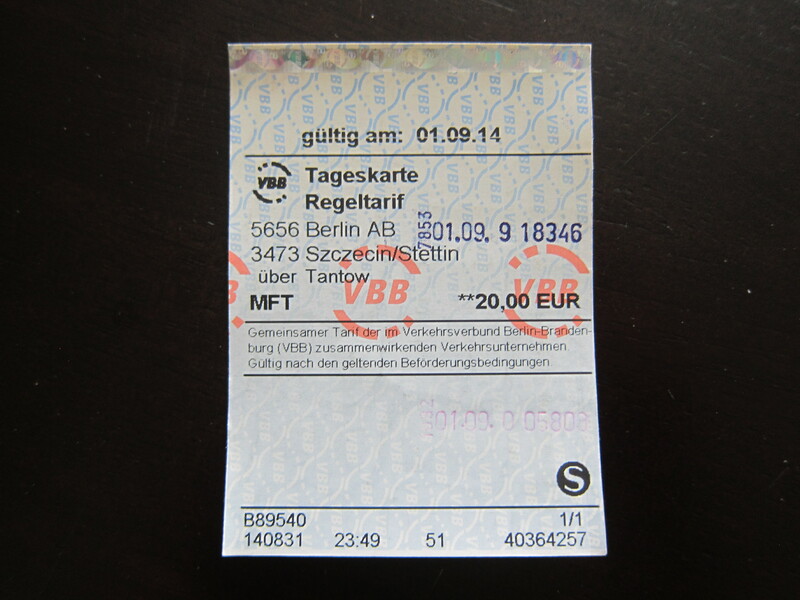 If you’re traveling by yourself, you can buy a round-trip Berlin-Stettin ticket from a ticket machine in any S-bahn station in Berlin for €20. 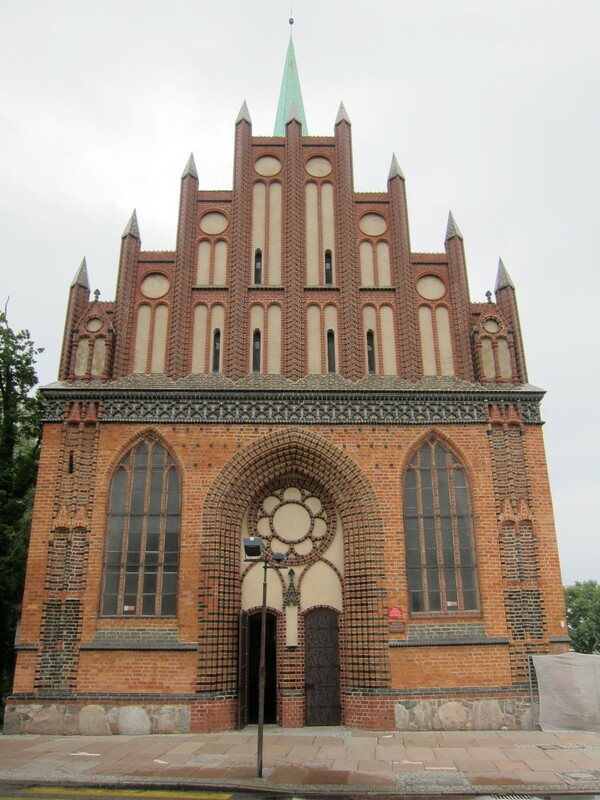 The ticket covers not only unlimited rides within Berlin for the day in addition to the trip to and from Szczecin, but it’s also accepted on the trams and buses in Szczecin. Now that’s what I call a bargain. When you get to the ticket machine, select English as your language, then search for “Stettin” as your destination. 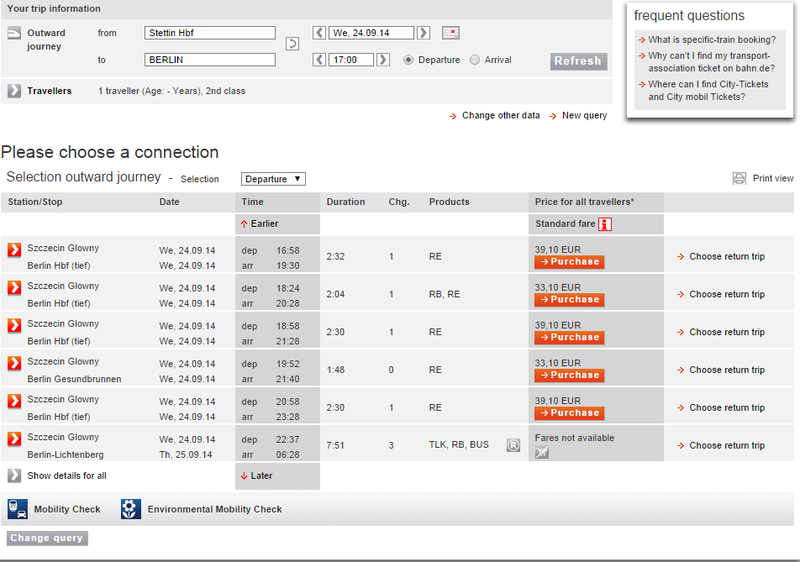 Select the round-trip option, insert €20, and you’re all set. You can buy the ticket the day before to save time in the morning, as you can a pick a validity date when you buy the ticket. Just watch out that dates in Europe are backwards to what we’re used to in America, thus 01/09/14 means September 1, 2014 and not January 9. If you’re traveling as a couple or small group, you can get an even better deal. As a group of at least two, and up to five people, you can share a Berlin-Brandenburg ticket for €29, which does everything the Berlin-Stettin ticket does, but covers your whole group. 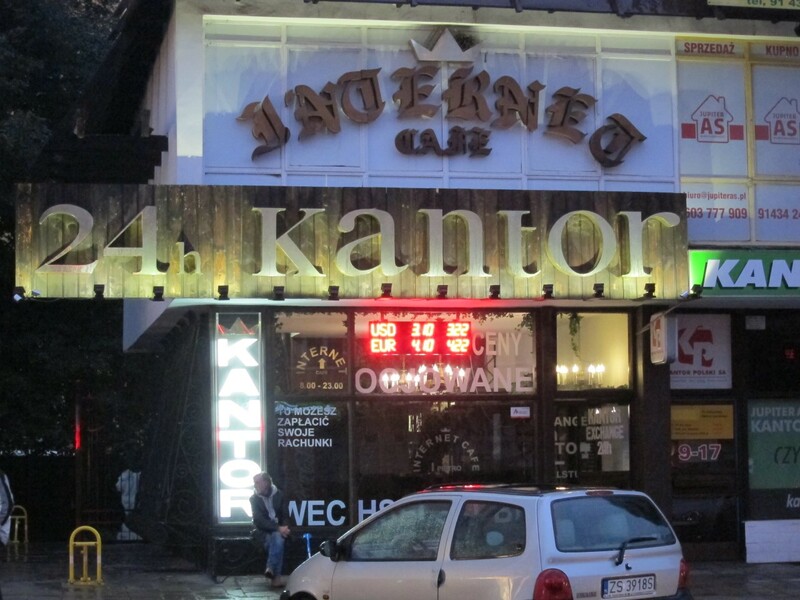 That brings the cost down to as low as ~€6 a person if you’re a group of five. 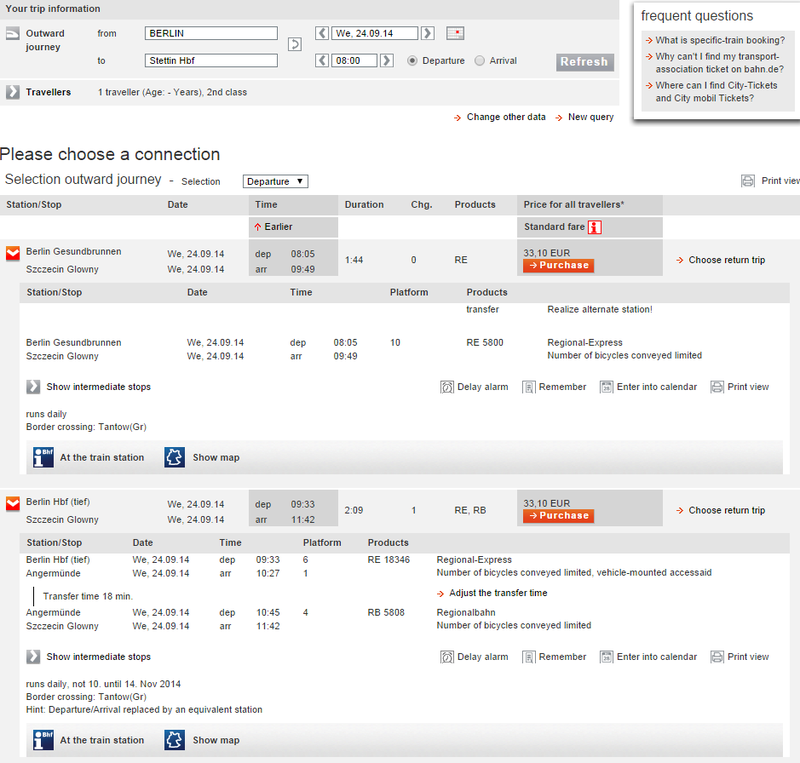 Once you’ve got your ticket, you can search bahn.com for train times. 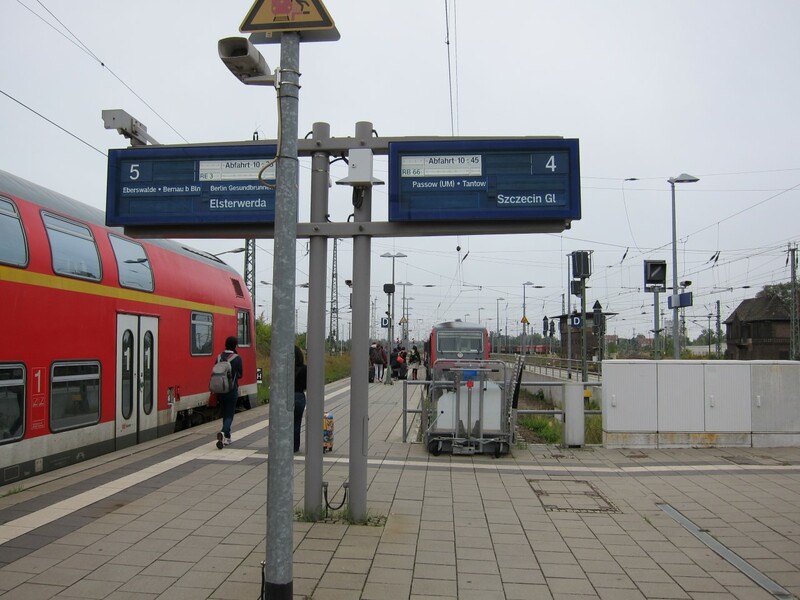 As of September 2014, you have two choices for morning departures – a direct train from Gesundbrunnen station station departing at 8:05am, or the indirect journey departing from Berlin Hauptbahnhof at 9:33am, connecting in Angermünde to a second train. The direct journey takes 1 hour 44 minutes, about 25 minutes faster than the connecting journey. Berlin-Szczecin Morning Train Schedule. 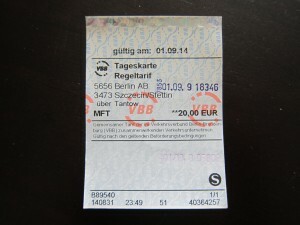 Do NOT buy your ticket through the overpriced Bahn website! Make sure you bring your passport with you! 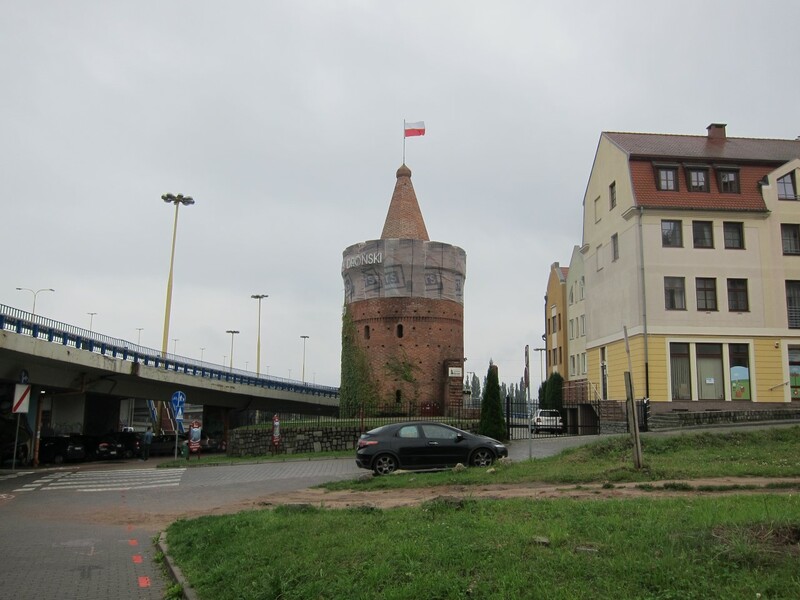 Although Poland is part of the Schengen Area and you can travel freely between Germany and Poland without a visa, German police were checking identity documents the day I traveled to Szczecin. Szczecin is probably one of the most tourist-friendly cities I’ve visited. They’ve painted a red dashed line on the sidewalk starting from the train station that will take you in a circle route visiting 41 landmarks and attractions in the city center. You can buy a map of the route at the tourist information desk that shows you all 41 attractions, but I found it more interesting just to follow the red line and see where it would lead me. 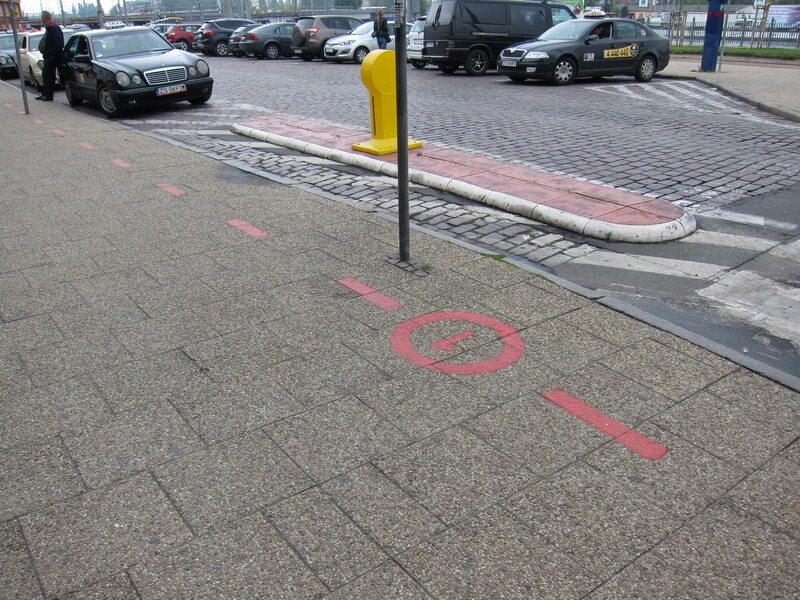 Each stop was marked with a number in a circle. 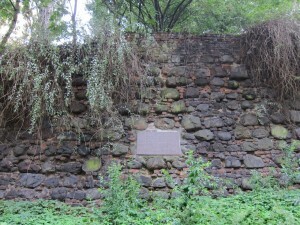 The entire route covers about 7 km (4.5 miles). 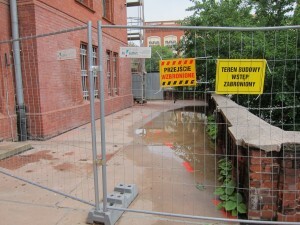 Sometimes construction would block off part of the tourist route. It was usually easy to improvise a way around it. 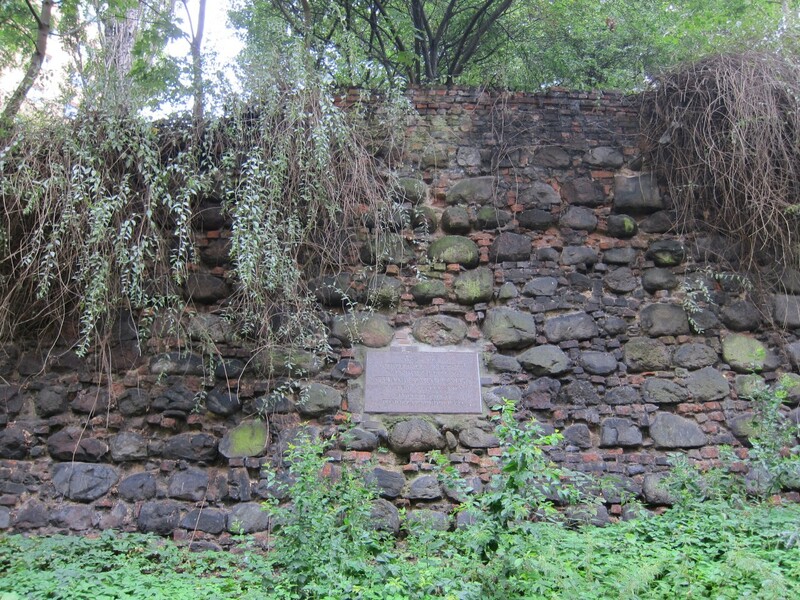 At most stops a trilingual plaque in English, Polish and German described the history of the landmark. 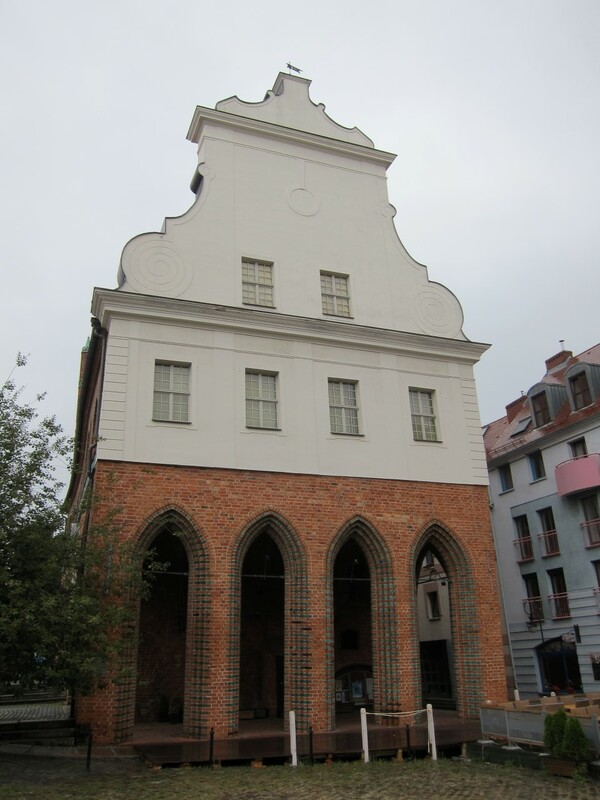 You can go inside most of the churches during the day, and some places, like the Pomeranian Duke’s Castle and certain museums, might warrant more time for a proper visit. All museums on the route are closed Mondays, so try and go any other day of the week. 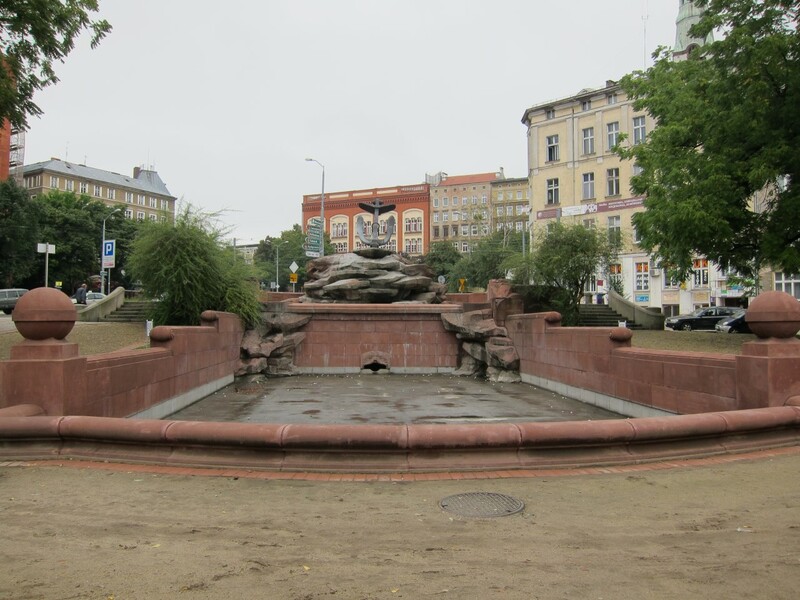 What struck me most about Szczecin is that nearly all the interesting sights were built by the Germans/Prussians before World War 2. 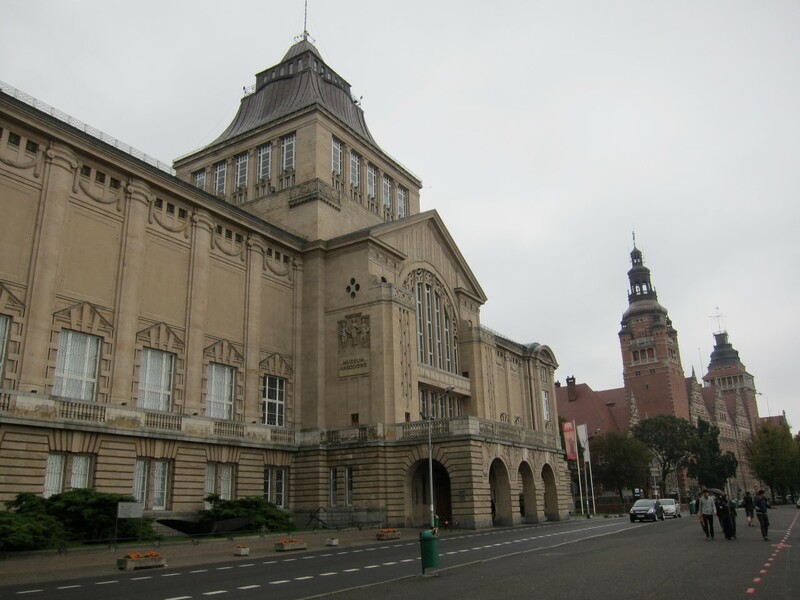 The Polish have done a great job restoring many of the old buildings, especially after the fall of communism. 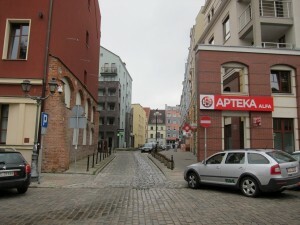 I was surprised how much of the original architecture remained in the city center, given the intensity of the war. 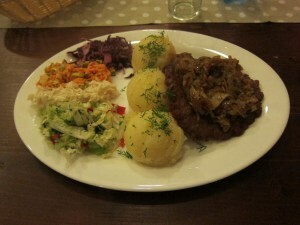 But still, I wonder how genuinely Polish my experience of Szczecin was. Some of the churches have been converted from Lutheran to Catholic, and many of the historic buildings have been re-purposed into offices or museums, but the original architecture is predominately German/Prussian. I spent 13 złoty ($4) on a delicious two course meal at Bar Gospoda, a small restaurant in the city center serving authentic Polish food. Despite being a “Bar”, they don’t serve alcohol(!) so I ordered a bottle of still water instead for 3 złoty. 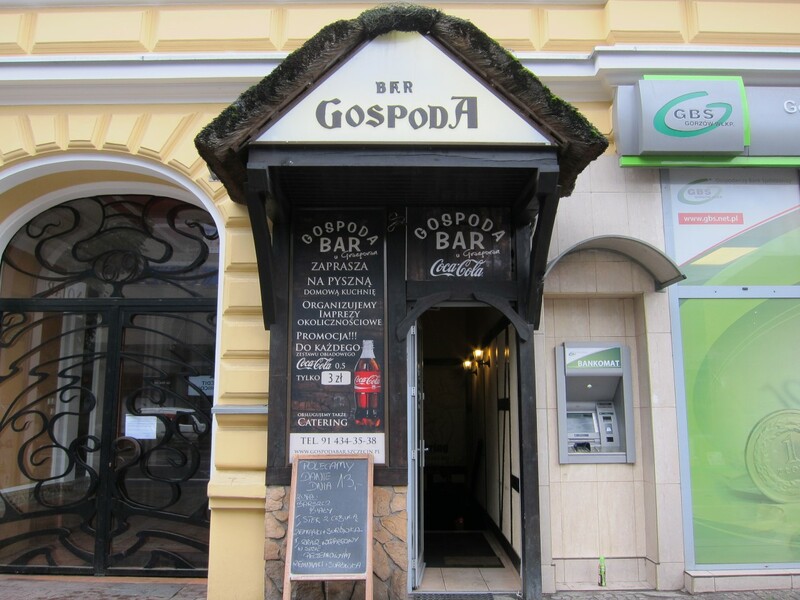 Bar Gospoda isn’t on the marked tourist route, but can be easily accessed by foot or tram. 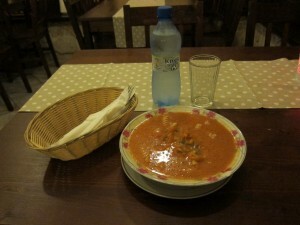 They had an English menu and serving staff who could speak English. Unlike most EU countries, Poland still has its own currency, the złoty. 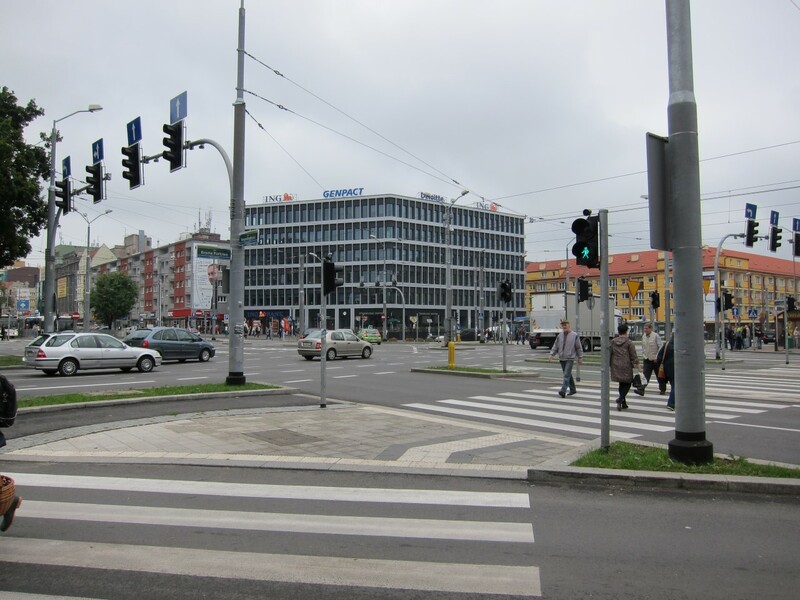 If you have Euros or US Dollars, you can exchange them for złoty at the train station (the worst rates) or any of the many kantor (currency exchange shops) in the city center. 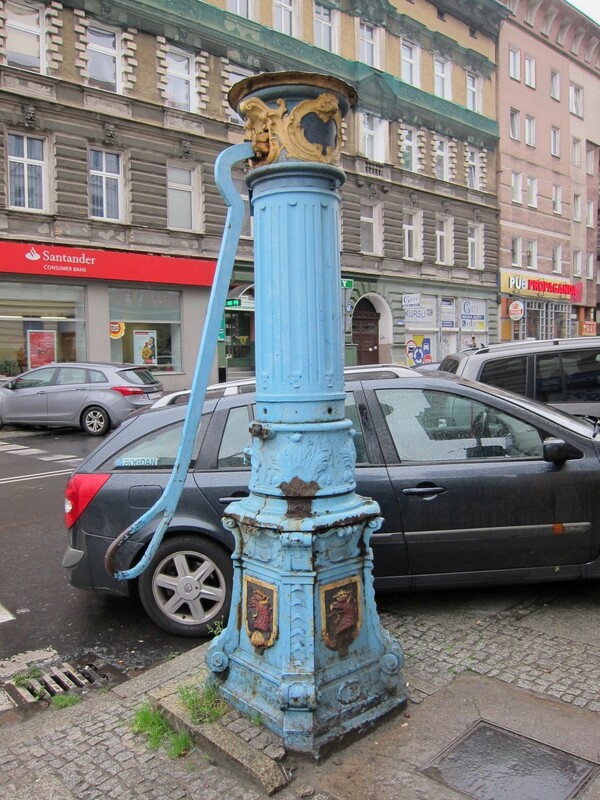 If you have a Charles Schwab bank account in the US, you can withdraw złoty from any bank machine in Szczecin fee-free (Schwab will refund any ATM fees you pay). But a word of caution: It’s easy to overestimate how many złoty you’ll need. Szczecin is a cheap city to eat and drink in – even cheaper than Berlin. 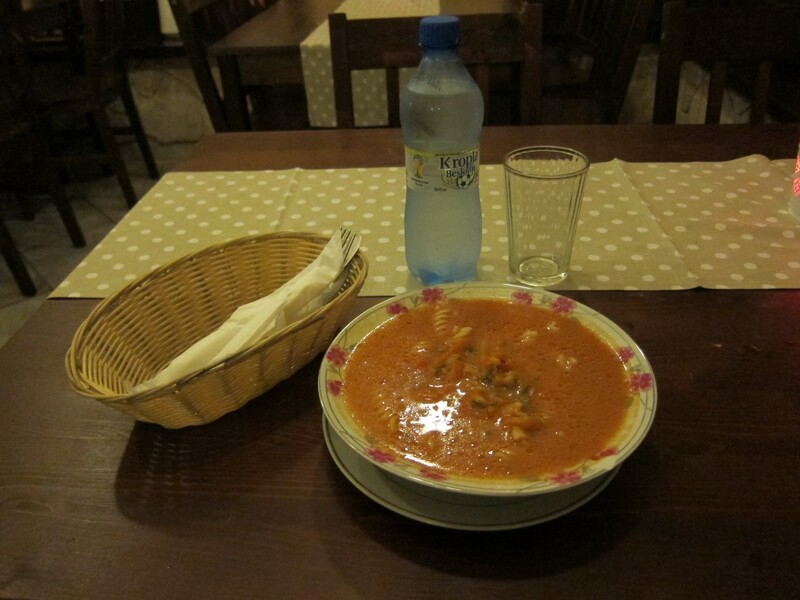 I withdrew 50 złoty (~$16) at the train station and after a day, I’d spent less than 30 złoty on food and snacks. I ended up changing the remaining złoty at a kantor that converted złoty into Euros at a rate only 0.01 złoty higher than the official exchange rate that day. Several trains depart from Szczecin to Germany in the evening. The 7:52pm train to Berlin is the fastest and most direct way back, but show up at least 15 min early as the train was extremely crowded the night I took it. Many people were standing in the aisles for the 1 hour 48 min trip to Berlin! If you’re hungry, make sure to eat beforehand as there’s nothing to buy on regional trains. With only 1 restroom for every 2 train cars, it might be best not to drink too much either. If you have a T-Mobile plan with international roaming, you’ll be covered when you cross the border into Poland. Because I visited Spain before Germany, I had an Orange Spain pre-paid SIM card that allowed me to use 100MB of high speed data anywhere in the EU for €1 a day. While having mobile data isn’t absolutely necessary, it’s helpful for finding food and attractions that aren’t on the marked tourist route. If you don’t have mobile data, I recommend bringing a copy of the train schedule so you know when to be back at the station. 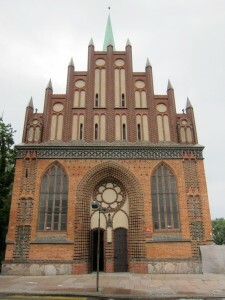 I really enjoyed my day trip to Szczecin. 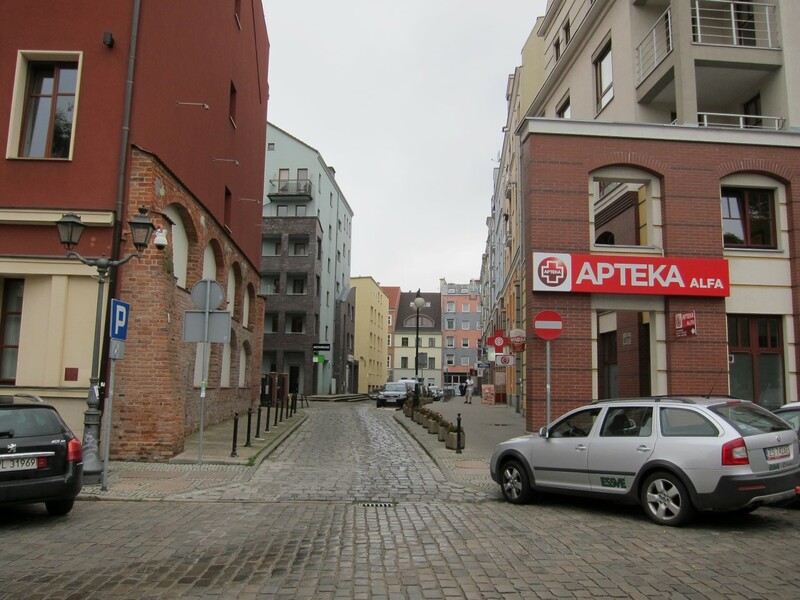 It was a sharp contrast to Berlin, illustrating how differently Germany and Poland have evolved since the end of World War 2. I enjoyed exploring the city on my own, and having a marked route for tourists took all the stress out of making the most of a short visit. 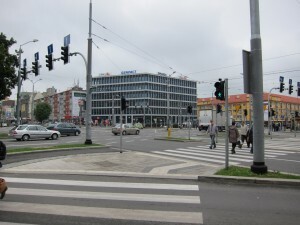 Szczecin is also extremely budget friendly. The history buff in me enjoyed seeing the diversity of historical sites, and I didn’t expect to see so much Prussian and Pomeranian architecture still standing. Relatively few tourists visit the city so it can feel like you have the whole city to yourself. I don’t think Szczecin is a good place to spend more than a day, as beyond the historic sites, it’s not a very exciting city. 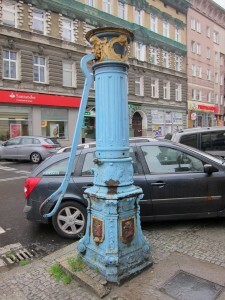 Szczecin lacks the energy and quirkiness that make Berlin a magical place. But it kept me stimulated and entertained for a day trip, and I left feeling like there was a little more still to explore. I think that’s the best way to leave a place.